MUMBAI: Hina Khan, who once played simpleton Akshara, now plays suave and stylish vamp Komolika in her Star Plus' show Kausautii Zindagii Kay. Talking about her fashion sense, thanks to the ultra-modern outfits she flaunts in the show along with flamboyant hairstyles and statement earrings, Hina been grabbing eyeballs for the diva she has turned into. In fact, she is touted as one of the sexiest women on the small screen these days! When playing vamps, you inherently choose to play with colours that are dark and mysterious while opting for make-up and outfits. One’s overall look should spell something that can even scare the devil away. Black, maroons, darker shades of blue, plum, and various other bold colours are usually chosen to make a character look erratic. Hina so far has carried such looks with a lot of elegance, but now, the lady ditches this look and gives an all-new definition to evil. Well, we all know that white being a very positive colour seldom suits someone who is wreaking havoc in other people’s lives. 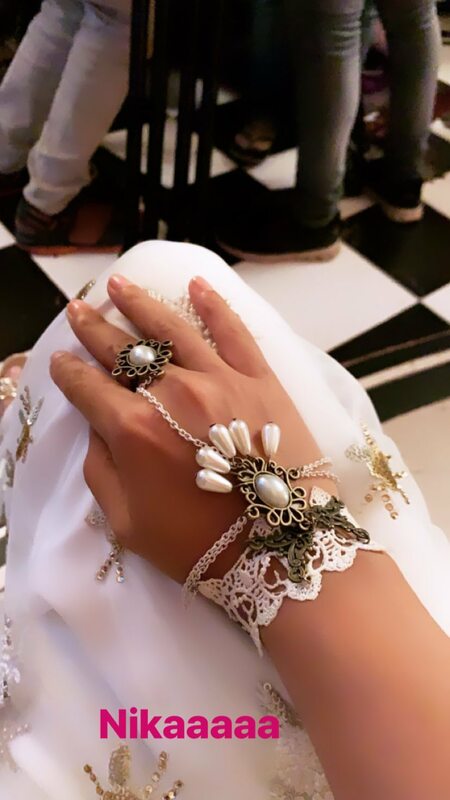 But Hina dressed up in white as Komolika redefines being ‘vampish’. She gives a rough touch to her look by gliding a white eyeliner and appropriate make-up to make her look glamorous. Must Check: Drashti Dhami’s STUNNING looks! NOW AND THEN: THIS is what Hina Khan looked like in 2017!